How do you know what to look for? What treatments are available? After birth any woman can get PPD without any relation to age, number of births, financial situation or country of origin. How do you identify the signs of PPD and what do you do about it? 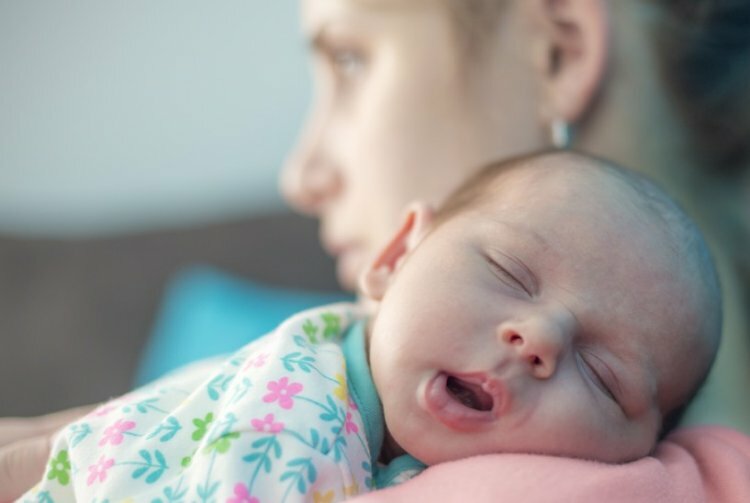 In the past few years there has been an increased awareness to the distress women suffer after birth and the concept of post-partum depression. This depression manifests itself with signs like sadness, despair, low self-esteem, feelings of guilt, feeling powerless, sleep disturbances, appetite and weight loss, negative thoughts about the baby, great weakness and a feeling of emptiness. It is important to understand that the time before and up to the birth is a happy and emotional time for the family. We’re accustomed to people taking interest and showering the mother with attention, praises and pampering. But parallel to this happy busy time at birth, sometimes a dramatic turnaround leading to depression takes place after the birth that is usually quiet and undetected. Dr. Suzy Kagan, a senior family therapist, supervisor of her own Emotional Treatment Center for children and adults also treats women coping with post-partum depression and has advice and tips on how to identify and cope with it. Israel Ministry of Health statistics show that 10-15% of women get PPD to such a level that it requires professional intervention and treatment. PPD can show up even an entire year after birth but generally comes in the first months after birth. The sinking feeling is general to most women after giving birth. They will experience tiredness, weakness, and mood swings but most will get over it within a week to three weeks after birth. If these symptoms persist or intensify after three weeks it should light a red warning light that something is wrong. In these situations a mother’s function will lessen, she will show apathy to her surroundings, have little patience for her baby or others and sometimes have bouts of hysterical crying and withdrawal. There are times when there will be a feeling of distance and difficulty to maintain a normal relationship with family and friends. Sometimes a tragedy may happen in the family like bankruptcy or the like where people may think the mother is reacting to the difficulty the family is facing and not attribute her depression to PPD. This can also cause a delayed diagnosis of PPD. Most of the time it is very good to honor the wishes of a mother that needs to rest in quiet and solitude. However if the mother is alone with the baby for many hours and the baby needs attending to and is being ignored it is not a good sign. It shows that the baby that needs physical contact and intense activity when taking care of it has become a burden to the mother who is physically, emotionally and psychologically weak. The baby suddenly becomes an unbearable burden and this will lead to rejecting the baby. PPD can hit any woman before or after birth with no relation to their age, ethnic origin or state of finances. It can first show up after a second or third birth too even if the mother never suffered from it before or never had any other emotional health problems. It is not at all rare that a woman who was successful in coping with her demanding day to day tasks suddenly find it difficult to cope after a baby come into their life. For many years women would hide their depression and negative feelings towards the baby out of feelings of embarrassment and failure. They will come to the mother and baby clinic all made up and dressed up even if normally they find it difficult to leave the house. Sometimes mothers will force themselves to be the “good mother” when unavoidable guests are over. It should be stressed that since medication and therapy are effective for this type of depression mothers should preferably go for professional help. PPD can last much longer than a regular depression and can be more intense than the originally experienced sinking feeling. Effective treatment of PPD requires professional help. Family members and friends are usually the first to pick up on changes in behavior and it’s important they know how to support the mother, assist and be aware of these symptoms. PPD can be treated through support and/or medication according to the situation. Most women successfully return to full function after receiving proper treatment. Without treatment the disease can get worse. PPD can bring serious consequences to the mother the baby and the entire family. It is therefore imperative to know the symptoms in order to expedite the proper support, seeking help and getting professional treatment. Husbands and families pay attention; if there are one or more of the aforementioned symptoms or sadness for most of the day, lack of interest in things previously engaging, lack of appetite or overeating, a feeling of tension or unrest, difficulty concentrating or making simple decisions, thoughts about death or self-harm, uncontrollable crying, and these symptoms persist for over three weeks you should immediately go to a professional even if the mother treis convincing those around her that she is okay.